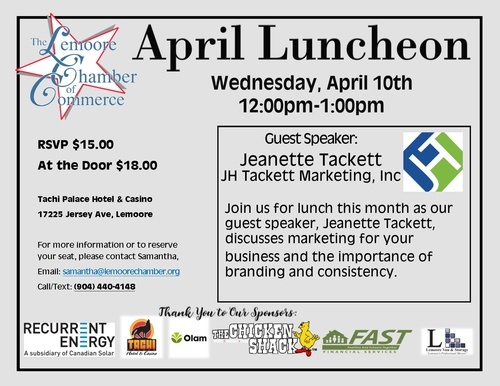 The Lemoore Chamber of Commerce Monthly Luncheons are an opportunity to network with other members, share ideas, and learn more about topics that are presented each month. The Chamber also honors local Students of the Month as they are the future of Lemoore! Must RSVP in advance. Cost is $15.00 per person, $18.00 at the door, which includes a buffet lunch prepared by Tachi Palace.